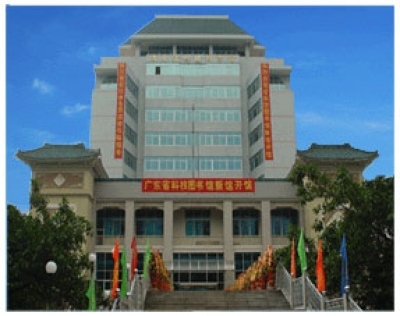 Founded in 1958, it is the only public scientific library in Guangdong province. Since it was originally established, the library has accumulated over one million volumes, including 350 thousand scientific books, and about 750 thousand volumes of 8,000 different scientific journals in Chinese and other languages, covering almost every specialty in science and technology. In recent years, the library has paid particular attention to its scientific and technical document collection, especially in relation to environmental resources in tropical and subtropical zones.